I'm going to try a new weekly Friday post with five of my favorite things, kind of like Oprah does, only with one millionth of her readership. 1. 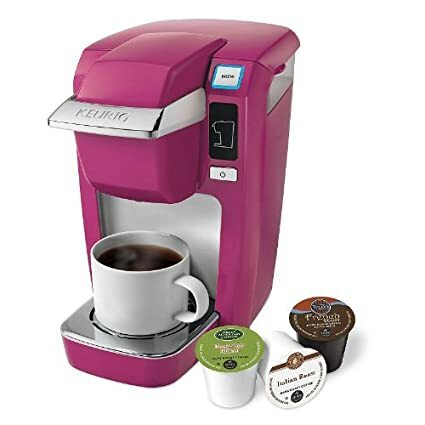 My new pink Keurig brewer. I didn't think I needed one (we brew a large pot every morning of course), but my generous mom gave me one as a Christmas gift. Now I especially look forward to choosing my afternoon cup o' joe. (On a side note: how on earth do non-coffee drinkers SURVIVE?). 2. FaceTime. Not an object strictly speaking, but it is something I really enjoy (and/or depend on). My sister and my mom live in different states, and we try to use the FaceTime function on our iPhones several times a week to see each other and our kids (for those of you lost in a sea of smartphones, it's basically a video chat). 3. Those Sea Salt & Turbinado Sugar Dark Chocolate Almonds from Trader Joe's. Remember when I first wrote about Trader Joe's? Well, now I love it even more. It has been the best thing since sliced bread around these parts, and now I NEED my daily chocolate almond fix. 4. Nars "The Multiple," color stick. I've written about it before. I'm obsessed. It's expensive, but I wear it almost every single day every time I expect to see someone from the outside world, so really it just costs pennies a day, right? 5. SNL episodes OnDemand. Again, this not a physical object per se, but there's zero chance I will stay up to watch SNL live and then be expected to survive an endless Sunday with little kids (which often begins by 6 a.m.; yes, it's true, child-free people). My husband and I have taken to watching episodes that are saved OnDemand, and this season is hilarious. 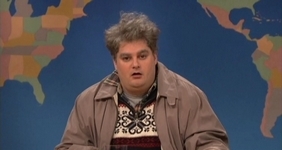 I'm especially loving the Drunk Uncle character. Paul Rudd's recent role as the host was a classic as well.